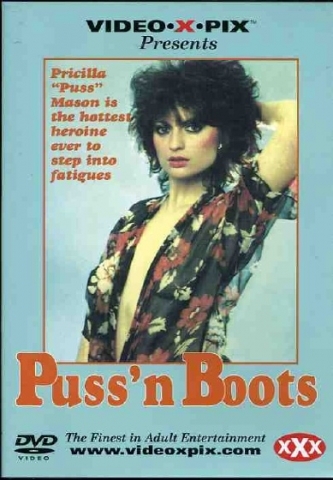 Pricilla "Puss" Mason is the hottest Heroine ever to step into fatigues. Pricilla "Puss" Maso is the hottest heroine ever to step into fatigues. She's wild, irreverent, and horney - a natural for the United States Army. Once enlisted, Puss does her best to get out. The military life is just not for her. She meets Jack, the local stud, but her bang-up job falls short. Puss tries other stunts in order to shorten her too-long tour. She fakes insanity, joins a weird religious cult, gambles and carries on, but whatever she does backfires. Looks like she's doomed to a career in the military. Her comrades-in-arms are lusty misfits too. Bobbi is a sly con-woman who gets her kicks by odering soldiers around. Nora is a nasty babe who delights in girl/girl fun. Terri and Sandy sneak off to fulfill their own passions whenever they get a chance, and April is just trying to keep her nose out of the mud. Yes, Puss is in action, mobilized and ready...the bawdiest hijinks this side of Fort Dix! DistribPix's eBay story is coming soon.